One of Hong Kong’s most recognisable street art located in Sham Shui Po. 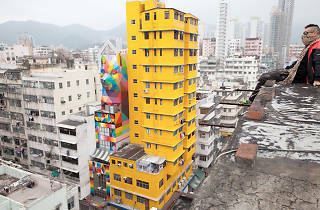 Madrid-based street artist Okuda San Miguel has completely transformed an ordinary residential building on Tai Nan Street with his mural Rainbow Thief as part of the city-wide street art festival HK Walls in 2016. 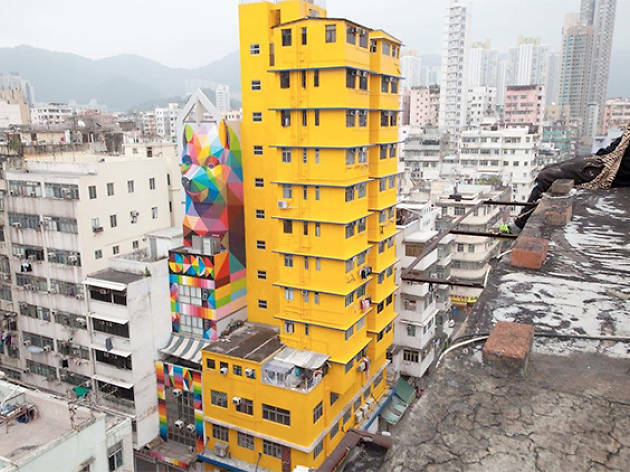 Covering the entire facade of the narrow building in his signature multicoloured geometric structures and patterns which form together in the shape of a fox, San Miguel has turned Man Fung building into one of the most recognisable and most iInstagrammable buildings in Hong Kong. MTR Sham Shui Po Station, Exit A2.